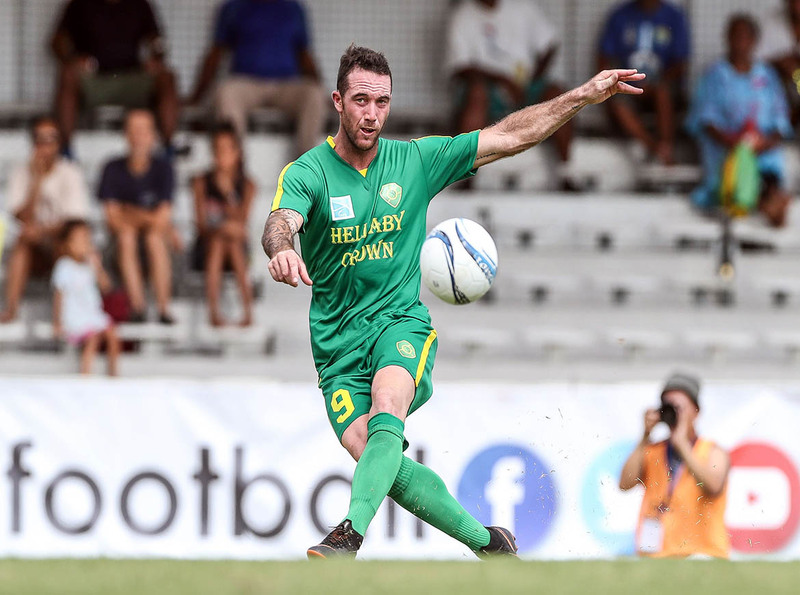 On the back of the hosts’ impressive start to their 2019 OFC Champions League campaign, local expectations are growing in New Caledonia’s Northern Province ahead of Hienghene Sport’s highly anticipated francophone derby against their Tahitian foes AS Tefana at Kone’s Stade Yoshida. Melanesian rivals Malampa Revivors FC from Vanuatu and Papua New Guinea champions Lae City Dwellers FC will also face a decisive clash when they kick off proceedings on a crucial Match Day 2 in Croup A. Following a disappointing 5-nil defeat to Hienghene Sport in their opener, the equation is simple for the Malampa players, they must win to keep their quarterfinals hopes alive. Concentration throughout the full 90 minutes will be the key for the Vanuatu representatives who showed plenty of promise in a competitive and keenly contested first half against the hosts before producing a woeful second half to concede five times. Well aware of the task ahead of them, coach Kaison Maki says his players will take the field with one simple goal in their minds. “I told the boys, if we want to qualify we have to do our best to get the points from the second game. “The objective is still there, we know we have to win, we lost our first match and now we have no choice to stay alive in this competition, no choice we have to win this game,” insisted Maki. Lae City Dwellers will pose a major threat to Malampa’s ambitions after the Papua New Guineans have well and truly proved their mettle with a spirited second half comeback against AS Tefana on the opening match day. Blessed with an indomitable combination between skipper Raymond Gunemba and his experienced deputy Nigel Dabinyaba, the Lae players have never lost their self belief, storming back into the game with two goals in the final 30 minutes to force a thrilling 3-all draw against the Tahitians. Despite the spirited fight back coach Peter Gumemba admits there is still plenty of work ahead for his troops. “We have to lift for our next game, and not just the next game, we want to win the next two games. “Our game against Tefana helped us by showing us where our strengths are and we need to focus and work on those,” explained the Lae City coach. According to Gunemba his side’s leaky defence will require extra attention and his player will need to band together in unity to fix the problem at the back. Last time these two teams have met in the Group Stage of the Champions League in Auckland two years ago, Lae City claimed a dominant 5-2 win, but Peter Gunemba is expecting a tougher contest this time around. “I think they would like to take revenge on us for that result,” the Lae coach said. Emotions could run high during Wednesday’s second match with Francophone pride on the line for Tahiti’s AS Tefana and local favourites Hienghene Sport. Despite their dominant first up victory, the hosts are doing their best to keep a lid on expectations. Coach Felix Tagawa refuses to read too much into their opening triumph and he insists his player will face a far bigger challenge when they face their rivals from Tahiti. “Tefana have valuable knowledge of this competition, a very experienced Champions League team,” he said. “The fact they are in the middle of their domestic season in Tahiti will also give them extra advantage. “We can tell they recruited well bringing in good players, so we expect a very different game from them. “They need points, just as us to confirm our passage to the next stage,” Tagawa added. Disappointment was visible on the faces of Tefana players and coaches after letting a two goal lead slip in their opening match, and the Tahitians know well they can’t afford another late meltdown against the high flying locals who scored five second half goals including two in the final minutes to stamp their mark on Group A.
Tefana coach Franck Mathieu has called on his side to regroup for what he describes as a must win match if they want to remain in hunt for one of the two spots needed for qualification to the knock out-stage. “We will need to work hard with our entire defence regarding our liveliness, or toughness, our system we need to remobilise in order for the boys to rediscover our spirit, our style our togetherness, our football, our game,” Mathieu insisted.